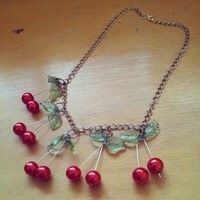 Create a cute summery necklace with a vintage vibe! 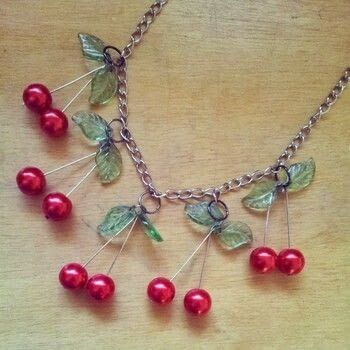 For each cherry pair, you will need two leaf beads, two red beads, one small jump ring, one larger jump ring, and two head pins. 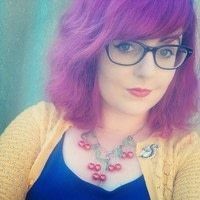 You will also need a length of chain, a clasp, two extra large jump rings, and pliers. 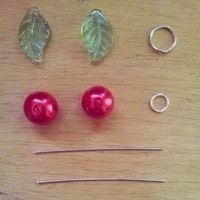 Thread the red beads onto the head pins and use your pliers to create a loop at the top of the pin. 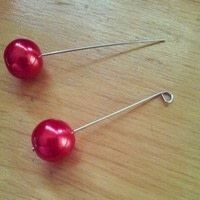 These are your cherries! 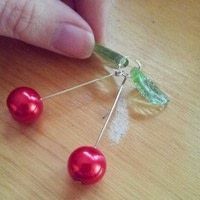 Open up your smaller jump ring, and thread on the two cherries, and two leaf beads. Use your pliers to close the jump ring back up. Open your larger jump ring and thread it through the small jump ring, but don't close it yet! 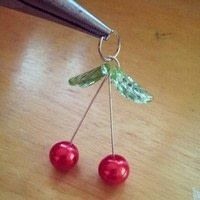 Thread the jump ring through the chain link where you would like your cherries to sit, and then close the jump ring. 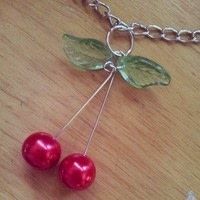 Make as many cherries as you would like, and then attach a clasp to one end of the chain using a jump ring. 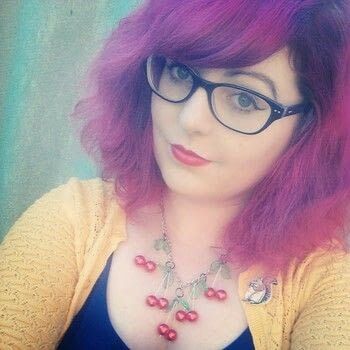 Add a single jump ring to the other end of your chain, to make your necklace easier to close.